To be used with the Arkansas Department of Finance and Administration for all State tax purposes. Elect a tax professional to handle your filing with the State by filling in the document and can be perpetual of expire at a particular date depending on the principal’s needs. 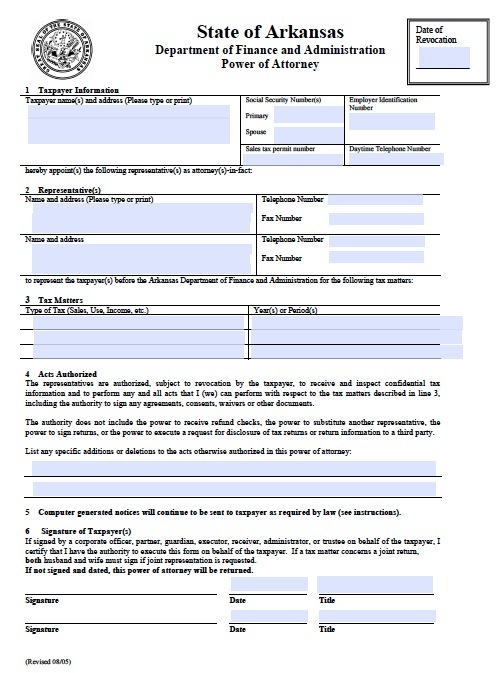 This document is only for State tax purposes and all federal filings must resort to the IRS 2848 form.